Author: Reg Down Age Range: Gr 8+ The Golden Bird has been stolen (apparently) and Tik-Tak is sent to fetch it. The naive and dreamy youth rides southwards (it’s warmer in that direction), gets kicked out of two kingdoms, meets Erce-Ma, loses his hopeless steed, gains a much better one, stumbles into the Undwelling and its townships, descends into Akkman’s Dwell, rescues the bird (and other abductees), returns (still not fully awake) with the bird, refuses the hand of the Princess (what! 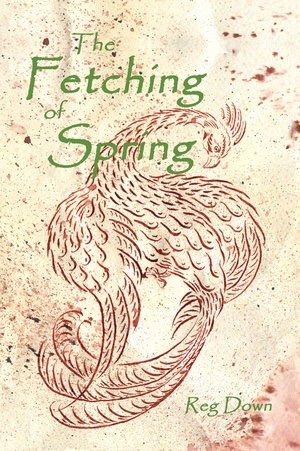 ), becomes a successful entrepreneur, is jailed > is released > then steals the bird (wrong order, I know, but that’s the truth), returns to Spring, returns to Tansa, gets familied, assumes the kingship and unites the Three Kingdoms (well, it’s a work in progress). 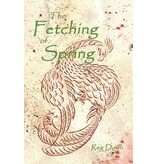 The Fetching of Spring, written with a humorous nod to the fairy tale, has a deadly serious subtext. Setting out from the Kingdom of the Golden Bird, our hero descends via the earthly into contemporary sub-earthly realms to confront Akkman, the ruling spirit of materialism. Soft cover; 248 pages.